About Prestige Auto and the work we do. Prestige Auto Brokers Inc. was founded in Grand Prairie Texas in 1978. 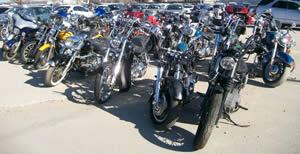 The business initially started out as a retail Used Car Dealership in the heart of town. After venturing into the rebuilding and auto repair field, Prestige Auto Brokers Inc. decided to concentrate its efforts in the sale of repairable autos, trucks, and SUV's. After relocating to its present, larger facility in 1981, Prestige Auto Brokers, Inc. expanded their inventory to include Travel Trailers, RV's, and Motorcycles. 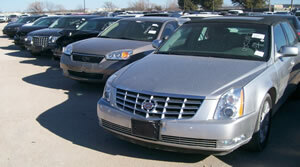 Prestige Auto Brokers, Inc. is conveniently located between Dallas and Fort Worth and is close to both major airports. For over 30 years, Prestige Auto Brokers Inc. is proud to say, that its success and reputation has been built on repeat customers and their referrals. With the help of our professional, courteous and experienced sales personnel, we have become one of the nation's largest dealers in repairable vehicles. Our personnel are committed to making everything about your experience as pleasant and worry free as possible. With that in mind we offer assistance in coordinating transportation of your vehicle Nationwide as well as Worldwide. From the time of your purchase, to the delivery of the vehicle, we at Prestige Auto Brokers, Inc. will do everything in our power to insure you are and will remain a satisfied customer.